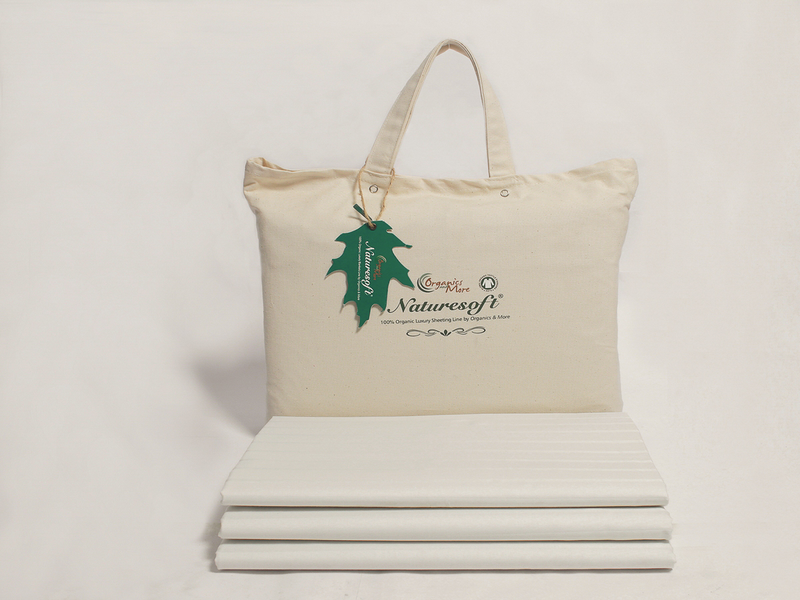 With a beautiful, stripe-sateen sheen, these 100% Certified Organic cotton fitted portable crib sheets are a great gift for a baby on-the-go! Plus, they feature colorgrown cotton for a natural hue that’s chemical free and dye free. Just because you’re traveling, doesn’t mean you have to sacrifice sustainable choices for your family. Fabric: 100% Certified Organic cotton. By Organics and More. To understand what GOTS Certified production means, see our article, Organic and Its Many Certifications and Our Policy. You like to see reviews for products, otherwise you wouldn't be looking at this page! We recently added this Review capability. 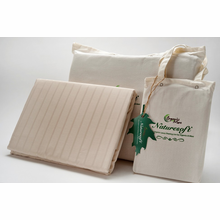 Please help others by leaving your feedback when you receive a review request after purchasing this Organic Cotton Stripe Sateen Fitted Portable Crib Sheet from Yes It's Organic. Yes It’s Organic searches out the finest manufacturers and suppliers of organic goods. We seek out those that push new, increasingly greater eco-friendly methods for the process chain from crop to finished good. 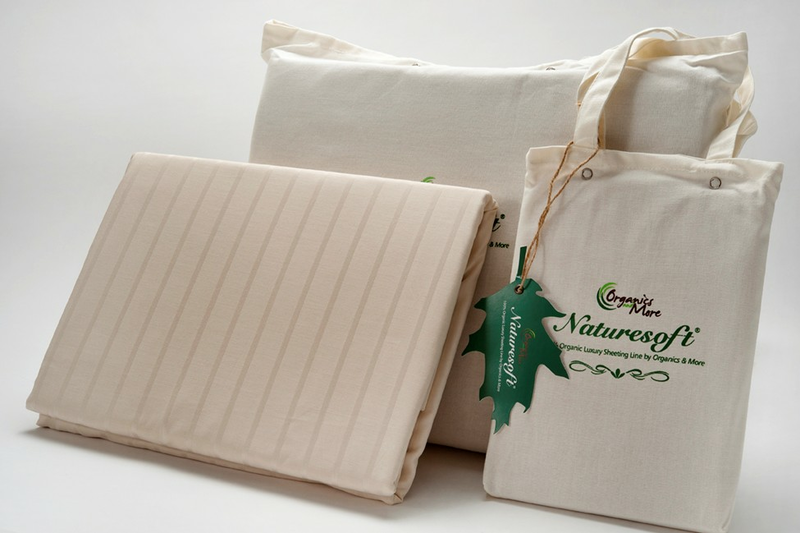 Organics and More, a Global Organic Textile Standard (GOTS) Certified Organic company, was born from a larger textile business that sought to fill a gap in the industry for high-quality 100% Certified Organic blankets, throws and more. At their South Carolina manufacturing facility, 100% Certified Organic cotton is cut, sewn and washed in a GOTS Certified process to ensure and uphold the highest standards in Organic products from harvesting the raw material through production and the final product. To understand what GOTS Certified production means, see our article, Organic and Its Many Certifications and Our Policy. As they continue to meet and exceed their customers expectations with some of the highest-quality towels, blankets and bedding in the industry, we invite you to experience the luxury of Organics and More.